Premier League Scores: Result, Match Analysis and Highlights from the EPL Fixture between Norwich City vs Manchester City on Saturday, December 29, 2012. Includes Video Highlights for U.S. viewers (as available). Quite the match as Edin Dzeko started ahead of Carlos Tevez and put in two goals within the first four minutes of the match. 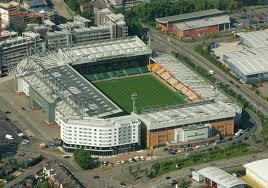 Norwich got a goal back before halftime from a well struck Anthony Pilkington free kick. Samir Nasri was then sent off with a straight red card for head butting Sebastien Bassong in the 44th minute. The second half was filled with even more action as Norwich staged a comeback with a brace from Russell Martin. Manchester City was able to hold on thanks to a goal from Sergio Aguero and an own goal from Norwich keeper Mark Bunn. The dying minutes saw some frantic City defending as well. The win for City keeps them from slipping any further than 7 points behind leaders Manchester United.